What Can You Do To Achieve a Healthy Pregnancy and Baby? Home > Newsletter > 2018 > Week 08 (2018) – Healthy Babies? Week 08 (2018) – Healthy Babies? 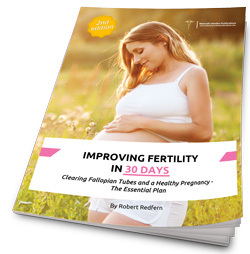 New information has come out over the past week on creating healthy babies and coincidently, I have just updated my Fertility eBook. Before I go into the news, I mean no harm to those who have not had healthy babies and my heart goes out to them. It is not easy finding out simple steps could have prevented birth problems. The study published recently showed that Cerebral Palsy can be prevented by the mother simply supplementing with Magnesium. Magnesium deficiency is very common and the fact is, this mineral is critical for many things around the body and especially babies in the womb. A very dear friend was born with cerebral palsy and I first met him over ten years ago when he was on fourteen pharma drugs and was at death’s door. He trusted me as a complete stranger and followed my health plan to help get off the pharma drugs and improve his eyesight. It has not cleared the Cerebral Palsy however as that damage was likely done by simple nutritional deficiencies of essential nutrients including magnesium. Even if you eat a fresh healthy organic food diet, it is likely you will be unable to get all of your magnesium requirements, whether you are planning a healthy baby or planning a healthy old age. 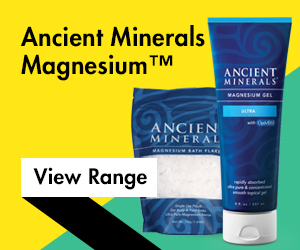 You have to supplement and there is no better way than to use Magnesium Oil around the body. Unfortunately, you need high levels of certain minerals such as magnesium, iodine and selenium in the first few weeks as well as all the way through the pregnancy. 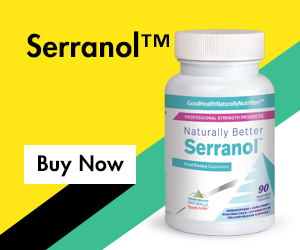 It is therefore important that all women of childbearing age supplement all of the critical minerals and eat a healthy diet in case they become pregnant by mistake. By the time they realise they are pregnant, they will have missed critical development of the eyes, brain and organs. I believe that it is the cause of gene dysfunctions according to the many studies I have read over the years. It is well established that most problems in pregnancy are caused by a shortage of specific nutrients in the diet of the mother. This is further complicated by mothers eating processed (junk) foods. You will also see in the news this last week that for every 10% of processed food content in your diet, your risk of serious diseases such as cancer increases by 10%. If it is bad for mothers, what is it doing to babies in the womb? What Can I Do To Achieve a Healthy Pregnancy and Baby? It may seem obvious but both you and your partner need to get super healthy. The sperm count of men in western countries has dropped by over 30% in the past 25 years and this is an indication of a processed food diet and lack of nutrition. Additionally, the use of WI-FI and mobile phones has been shown in some studies to inhibit sperm strength and so a QuantoGram device will provide protection for both you and your baby (I cringe when I see expectant mothers resting a mobile phone or laptop on their ‘bump’ or toddlers playing with unprotected mobile phones or tablets). Avoid processed foods, fast foods and sugar. Avoid starchy carbs such as pastry, rice, potatoes, pasta, cookies, breads, breakfast cereals, crackers and related products. Add sea salt or rock salt to your foods for additional minerals. Consume at least 5 portions of nuts, seeds or beans each day. Boost your consumption of vegetables to 5 to 10 servings per day. Consume 3 to 5 portions of dark-skinned, low-sugar fruits per day. ONLY eat wild caught, oily fish such as wild Alaskan salmon, sardines or black cod/sablefish, which are all high in omega-3 fatty acids. Choose paleo grass-fed meat options. Drinking plenty of water is a must: drink 6 to 8 250ml/8fl oz glasses per day and add a pinch of bicarbonate of soda. Foods high in omega-3 are essential for health; include krill oil, olive oil and hemp oil in your diet. Walking every day is essential for both of you to improve circulation and cell health. 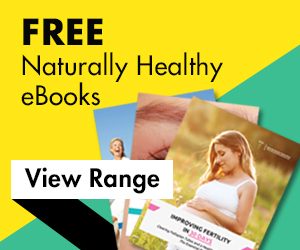 See the essential fertility supplements in my eBook that will aid you and your partner’s overall health, fertility and help you to produce a healthy baby. All human health problems are caused by incorrect foods, lack of nutrients and not walking enough. Start today to correct these and move towards Good Health and a Healthy Baby. You are carrying your advice regarding “carbs” way too far. My ancestors ate plenty of potatoes, home made bread, and rice and churned out healthy, tough children. Also other starchy carbs such as buckwheat and millet. Were all the children healthy? No, I guess not, but the ones I know of, were. One died in the 1918 flu, so he must have been a weakling – Mother Nature took care of things in the right way in those days. All of them worked very hard all their lives and died of old age (with one exception)- not any of the glamorous diseases of recent decades. Don’t forget to mention the ghastly effects of vaccines on future pregnancies. When I was a kid, we got vaccinated 2X for polio and once for diptheria. Today, they get thirty times as many doses of poison by the time they enter school. This cannot be good for their offspring 20 years down the line. All suppression of disease drives it deeper & deeper.